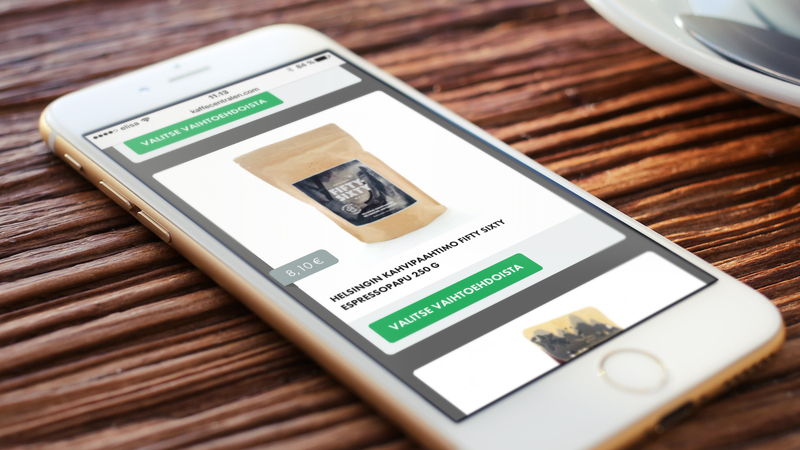 A modern and responsive webshop for quality coffees and coffee machines. Built on top of WordPress. Kaffecentralen is a Finnish company specialised in espresso coffee and coffee machines. They have retail shops, but serve mainly business to business customers. Kaffecentralen has been importing quality coffee machines, coffee and other equipment for years, and is slowly expanding to new areas and locations. 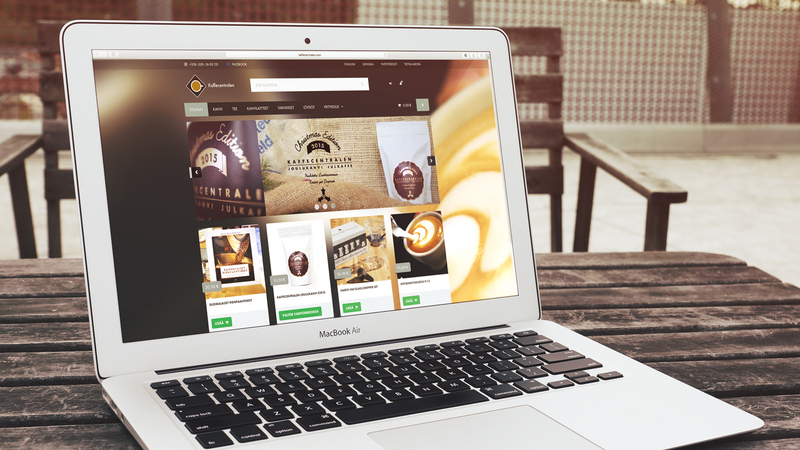 Kaffecentralen needed new websites and also wanted to start selling their products online. They wanted to display their products neatly and easily and have a user friendly webshop, where consumers could conveniently order coffee, coffee machines and accessories. The site had to work right away on computer browsers, as well as on mobile devices. Make Helsinki discussed the project in detail with Kaffecentralen and came up with a flexible development model, that enabled us to start building the site in a cost-efficient way, but nevertheless with high quality. Kaffecentralen selected Make Helsink as their development partner because of our experience in building user friendly web services. The project began with a kick-start meeting with the customer, and proceeded with user experience and user interface design. The site was built on top of WordPress and Woocommerce. After multiple design and development iterations, we completed the frame of the website and continued working with the content and fine tuning the web shop. The site was then published on a dedicated hosted instance for high availability. The new site was released in 2013 and received very well. After the release, we have continued to support Kaffecentralen by bringing new features, fine tuning and making updates, and we still continue to work with them today for a world of better coffee.